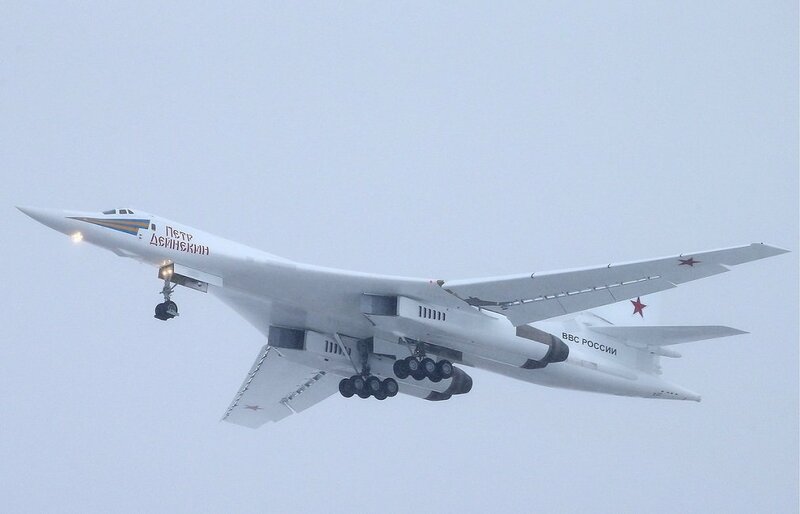 The Defence Minister recalled that the production of the fundamentally modernized Tu-160M strategic bomber was resumed at the Kazan Aviation Factory n.a. S.P.Gorbunov, on behalf of the Supreme Commander-in-Chief of the Armed Forces of the Russian Federation. Shoigu specifies that the upgraded aircraft will be equipped with the up-to-date on-board defence system, an advanced reliable communications system with enhanced anti-jamming system, as well as with unique weapons, which will significantly enhance its combat capabilities when using standard and nuclear weapons. The strategic bomber will be powered with NK-32 engines of the second series, which will considerably increase its flight range and duration. The head of the military department reminded that Tatarstan-based industries were implementing dozens of other major contracts for the Russian armed forces and by investing considerable funds into the economy of the region, the Russian Defence Ministry contributes to its development by increasing the number of jobs, as well as by improving the living standards of the population. In turn, great attention is being paid to the housing problems that the military personnel and their families may experience. “We expect that this will continue in the future,” added Sergei Shoigu. During his visitation at the branch of Tupolev PJSC, the Gorbunov Aviation Plant, the Russian Defence Minister inspected the progress made in the manufacturing and modernization processes of long-range aircraft, ordered by the state defence, in particular, the Tu-160 (Tu-160M), Tu-214 and the progress of the Tu-160’s production in a new outlook.